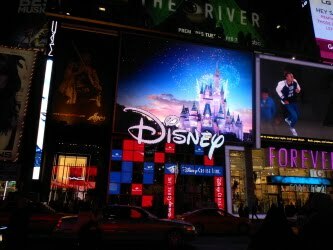 Pennsylvania & Beyond Travel Blog: New York Times Square - Beautiful at Night! 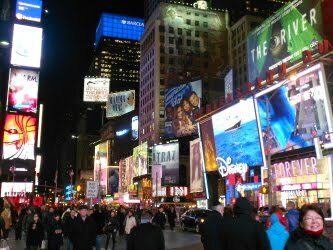 New York Times Square - Beautiful at Night! Hubby and I took a trip up to New York City back in early January thanks to the generous folks over at Pretzel Crisps. I was very proud to represent this company as their NY City Brand Ambassador. (Note: You can click on all of the photos in this blog post to enlarge the photos to see the details). The company put us up in the Element hotel which is owned by Westin. We were only a few short blocks away from Times Square. It took us about 10 minutes to walk there from our hotel and it was a nice...but crowded walk! Guess I am just not used to "crowded" streets like that. 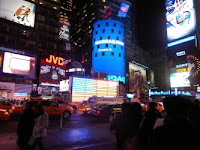 Today I thought I would share some photos that we took while visiting Times Square at night. It is really beautiful at night thanks to all of those lights and neon signs. There are a lot of stores to shop at and plenty of places where you can grab a bite to eat. We were there until 1am one morning and the activity was still going strong! Enjoy the photos!